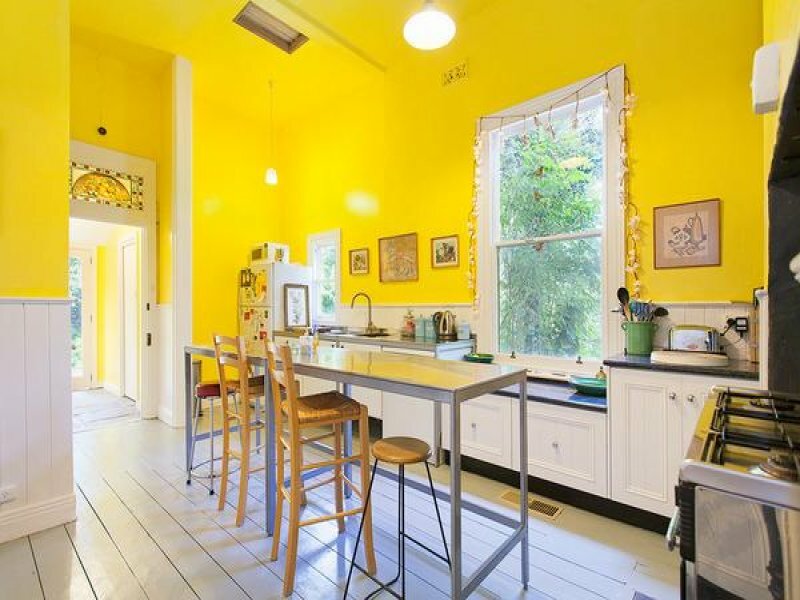 Modern Kitchen in Mustard Yellow. 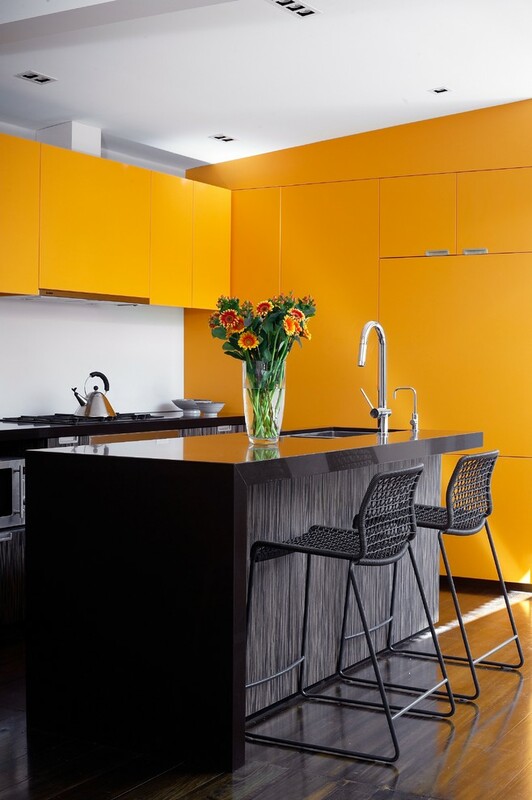 Bold kitchen with kitchen cabinets in a saturated yellow color scheme, white ceiling and splashback, black cesarstone benchtop island. Via Scott Weston Architecture Design PL. 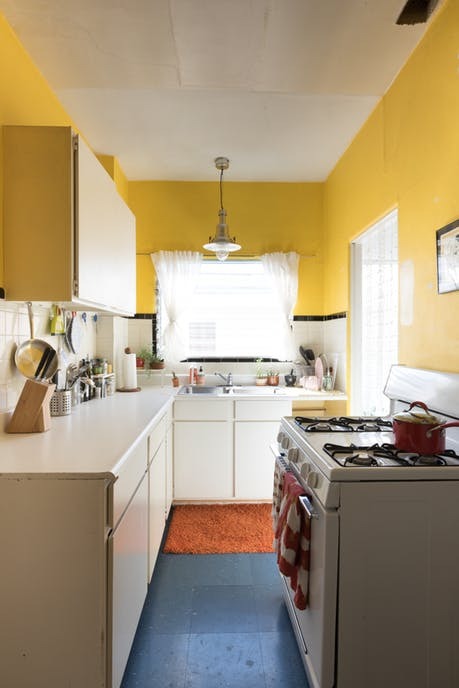 A bright and cheery kitchen with ultra yellow painted walls and ceiling. 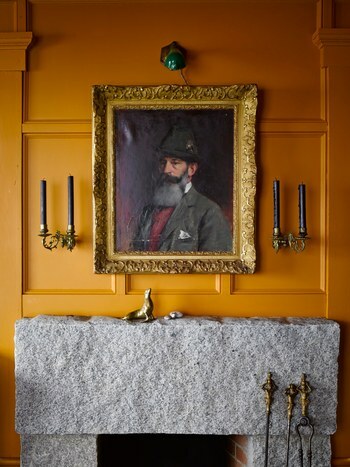 The same bright yellow continues into the formal dining room.